With the Jewish holiday of Purim, a story of persecution, deception, and revenge against the evil Haman and the Persians is commemorated. Scholars have debated the historical veracity of the story and this brings me to the point of the blog – the victim story. As we recently witnessed with the Jussie Smollet hoax, victimhood confers privilege that people seek and take advantage of. Recently, an attack on a mosque in New Zealand has created a modern Purim story of persecution that may be used to fuel further division between peoples along lines of religion and enthnotribalism. It is striking and odd that the alleged perpetrator wrote a manifesto has so many hackneyed tropes. He attempt to tie himself to the Knights Templar in an ancient conflict between Christianity and Islam. He labels himself as anti-immigrant and white supremacist. It is a bit too on-the-nose for someone who studies storytelling. I don’t wish to delve into the history or legitimacy of who did what to whom and for what reason. I wish to ask a much more interesting question: who benefits? In the so-called Crusades, the Knights Templar made quite the business off of stoking fears of Islam and became very wealthy searching for relics that may never have existed. 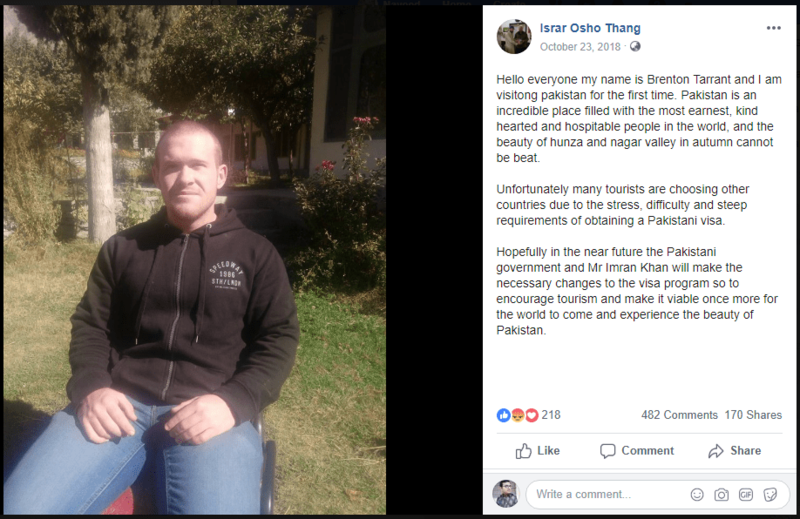 In the days following the New Zealand attacks, they have already moved towards gun bans and enacted a new 15-year felony penalty for anyone sharing the video allegedly taken by the shooter via first person GoPro. It is odd that in all the footage from all the shootings, including the Las Vegas incident, we don’t find any objectively corroborating proof of the official version of events. Look at the scarce live video and aftermath interviews from Sandy Hook, Paris, Charleston, Orlando, Parkland, Thousand Oaks, and Las Vegas and you never see what you expect…chaos, bloodshed, hysteria, and emotion. That said, like most people, I find it extremely troubling and difficult to believe that events like these could be staged, partially faked, or planned. But compare the 9/11 Shanksville Flight 93 crash site with the Lion Air and Ethiopian Air crashes and you see what a plane crash usually looks like. In the final analysis, conspiracy theorists will have their own beliefs and tie together circumstantial inconsistencies and find clues to validate their theories. Whomever orchestrated the attacks on 9/11, we know that victim story ushered in the Patriot Act and wars of aggression that persist in occupation to this day, 18 years later. What is also undeniable is that the ability of such mass murder events to create gun control legislation as occurred in Australia after the Port Arthur massacres of 1996. Paradoxically and contrary to the states wishes of alleged New Zealand gunman’s manifesto, whenever such events and cried for gun control occur in the US, gun owners merely buy even more guns and ammo and now even the state of Missouri has prophylactically proposed its own pro gun rights legislation going to far as to issue tax credits for adults to own AR-15s. My own wish is that people rely less on stories, victimhood, and fear to guide their actions and moral stances. The truth is that every day, billions of people don’t shoot each other and that the world is much safer, unified, transparent, and prosperous than it has ever been throughout history when objectively measured. Story tellers can have an important control over our actions but in the end, many of the events, to say nothing of the circumstances around them, are contrived and used to manipulate people. If we as a people want to limit free speech and gun ownership, let us have a vigorous debate over amending the constitution. But let us not, as generations before us, allow fear to motivate us into rash actions such as wars abroad and deconstructing the document that has guided the nation despite two and a half centuries of murder, yellow journalism, and compromised politicians. I refer you to this blog about empathy and the dangers of it. We don’t apply equal justice to war crimes when they are committed by our government. We don’t apply equal sympathy when it comes to people who don’t share as many commonalities with us. I believe the truth is that we are all victims – of victimhood itself. If we want reparations, we could demand them from our friends, partners, children, parents, ancestors, and other oppressors who oppressed our ancestors. The Irish, the last ethnic group to have open cultural appropriation celebrated on Saint Patrick’s Day, have many grievances against both the English and Americans for oppression and slavery. Instead of clinging to victimhood, let us pursue policies that promote transparency, fairness, achievement, and unity. When we link our energy to the past, which can be openly manipulated by those that control academia, mass media, politics, and the internet, then we continue to repeat cycles of fear, hatred, and retribution. Every day, in a scalar way, the world is becoming a better place to live. I truly believe that. It is the only explanation why the powers that be want to use stories from centuries ago to reignite division amongst us. The truth is that the Pandora’s box of the internet, which has loosed upon us the evils of mind control, fascist social media scoring, global surveillance regime, and the coming internet of things, has left the most redeeming thing in the bottom: hope. I see a funny video from Sri Lanka, Iraq, Iceland, or Bolivia and I know beyond doubt that we are one human family. It is my that belief that seeing the humanity of those from all over unites us. I truly believe that few people want to go to war and kill each other. It is the fear of death, court martial, and shame that makes people do what they do. I’ll tell you a story I heard yesterday from a man who, somewhere in Iraq, said he was once face to face with an enemy soldier with an AK-47 pointed at him, having used that weapon to kill his comrade. Both men were shaking and ready to shoot when this man asked “I have kids. Do you have kids?” The other replied yes. What ensued was a six-hour standoff that did not end in more bloodshed. Despite the fear and motivation to kill, their shared humanity compelled them to rise above and it is just that spirit that also awakens when these killings occur and are publicized. Every day, millions die of diseases associated with aging but there is no effort to stop this. A few days ago, a person allegedly murdered people and now laws will be changed? It all seems a bit contrived. But then again, if an darker explanation were to emerge about who might have engineered these “lone gunman” killings and planes falling out of the sky, where would the rabbit hole lead to? In the Middle kingdom of Egypt as the Hyksos, Jews ruled as kings and dominated Heliopolis; their expulsion from the land they ruled came to be the Passover story, where alleged angels smote the first born sons of their enemies. In Alexandria of Antiquity, the Jews who created translated the Greek Torah so their children could preserve the traditions despite being Hellenized, thrived for 800 years until one night in 415 CE with the assassination of Hypatia and the expulsion of the Jews. As the Sephardic community, Jews lived for 1300 years under Roman, then Gothic, then Islamic protection until the Reconquista of 15th century Spain. The Yiddish culture of Central Europe lasted for 1000 years until it was destroyed by pogroms of Russia and the Axis subjugation of Europe. The oldest Purim victim story of Jews versus the Persians has retold as annual reminder to be vigilant, resourceful, and vengeful. Ironically, as explained in Wikipedia, the truth is that in no other place on Earth besides Iran have proto-Jews and Jews lived in continuous community up until the Iranian Revolution which allowed for their peaceful departure/expulsion. Jews lived peacefully there for at least 2600 years so perhaps a little appreciation towards their Babylonian homeland and fellow Persians is in order. As such, we need fewer proxy wars and threats of mutual assured destruction between these regional superpowers. The Jews have suffered greatly and always persevered. Perhaps the resilience of the culture lies in the victim story itself. God told them they were chosen. He didn’t say he was the only god. He merely said that their lot in life was to suffer and that for that suffering, he would help them smite their enemies. According to the J-H-V-H’s victim story, Philistines (now Palestinians) deserve retribution from the Judeans. The Persians (now Iranians) deserve retribution from the Israelis. But would it make any difference if the actual events of the story of Xerxes, Esther, and Haman were contrived? To you and me, perhaps; but the effect of a never-ending war with the enemy that would destroy us is a dangerous tale and one that benefits only a few who seek to stoke fear and transmogrify it into power and profit on all sides of the conflict. Who has benefitted from the Arab/Iranian-Israeli conflict more than the rulers of Israel and Saudi Arabia? Have the people of the occupied territories, Israelis, and the rest of the Islamic and Arab world benefitted from this obsession with victimhood? In the end, we are all one human tribe, without a natural appetite for genocide or even murdering another father even if he just killed our friend in battle. And we as a collective species are growing increasingly skeptical that wiping our alleged enemies from the face of the earth is possible or even desirable. In fact, we are beginning to realize that any politician or deity that would suggest such a plan must, on principle, have their motives questioned. Jews around the world still sing “next year in Jerusalem” during Passover as a reminder of their continuous exile despite reconquering that city in modern times. 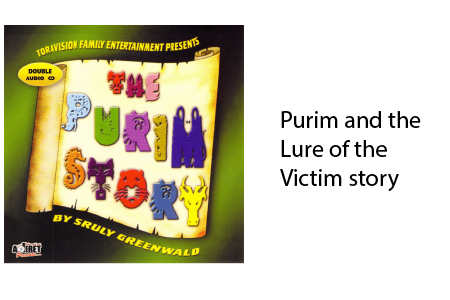 Perhaps if that phrase is now used only metaphorically, the story of Purim and revenge should also be taken metaphorically? If anyone is thinking of reenacting the perverse massacre of Muslims that occurred 25 years ago in Hebron on Purim, they should think twice about taking stories of victimhood and revenge so seriously. It is after all, a day to drink, dress up, and do good deeds.